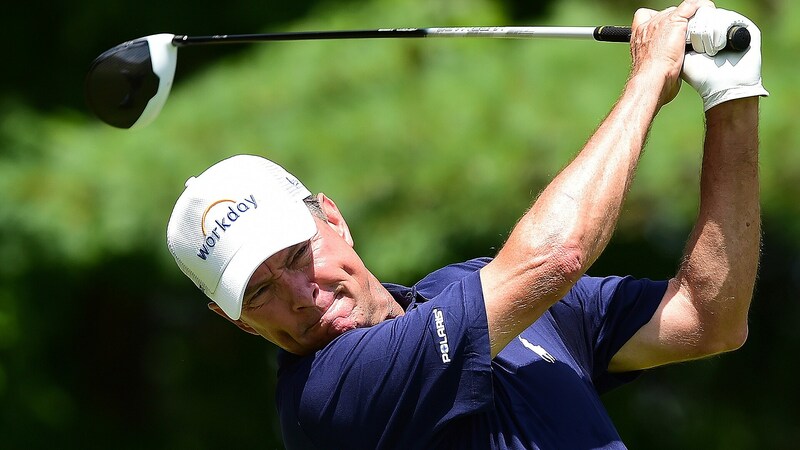 Davis Love III is trying to become the oldest player to win on the PGA Tour, supplanting Sam Snead. That’s just one of the things You Oughta Know as we head into the final round of The Greenbrier Classic. • Love, who is four shots off the lead after shooting a 68 on Saturday, will be 53 years, 2 months and 26 days old on Sunday. Snead was 52 years, 10 months and 8 days old when he won the 1965 Greater Greensboro Open. It was his eighth win in the event now known as the Wyndham Championship. • Love is already on the PGA Tour’s list of oldest winners, standing third for his triumph in the 2015 Wyndham Championship when he was 51 years, 4 months and 10 days old. Art Wall Jr.is second, having won the 1975 Greater Milwaukee Open at the age of 51 years, 7 months and 10 days. • A Love win would also give him the record for most years between first and last Tour wins – 30 years, 2 months and 20 days since his first win at the 1987 RBC Heritage. The current record-holder is Raymond Floyd (28 years, 11 months, 20 days), followed by Snead (28 years, 6 months, 28 days), Love (28 years, 4 months, 4 days) and Tom Watson (23 years, 11 months, 24 days). • Love would be an unlikely winner. This is only his eighth start of the season and he missed the cut in each of his last four starts. • Love’s best finish in six previous starts at The Greenbrier is a T-9 in 2013. • Sebastian Munoz, who holds a two-shot lead, is seeking to become the first wire-to-wire winner of The Greenbrier Classic. Each of the previous six winners of the event never held the lead after any round until doing so at the conclusion of 72 holes. • Munoz, a PGA Tour rookie, has has a best finish this season of T-27 at the Valero Texas Open. • Munoz’s opening-round 61 at The Old White TPC was the lowest first round in tournament history. The previous low was an 8-under 62 (Johnson Wagner, 2013; Tommy Gainey, 2013; Scott Langley, 2015)..
• Munoz is attempting to join Camilo Villegas as the only PGA Tour winners from Colombia. • The Greenbrier Classic has never had a first-, second- or third-round leader go on to win. Of course, the tournament, begun in 2010, has been played only six previous times.